Andy Gardner and Lee Rous, otherwise known as Plump DJs, are back in the driving seat and hitting the dance scene with their distinctive sound. 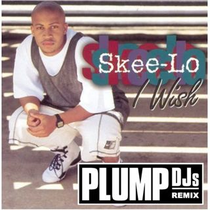 To celebrate the release of the third and final EP to be taken from their forthcoming compilation, ‘Dirty Weekend’, Plump DJs are giving away their own take on the ‘90s hip hop classic ‘I Wish’ by Skee-Lo. The remix has stormed the duo’s sets at Wickerman, Secret Garden Party, Boomtown and shows across North America. Currently being supported by the links of Stanton Warriors, Lady Waks, A.Skillz and Krafty Kuts, this remix is rapidly becoming the most requested track during Plump DJs sets. And the great thing is, the boys are giving it away to fans for their music, so grab it below, we’re loving it!